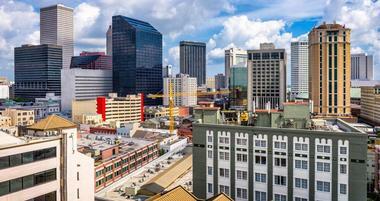 From the historic French Quarter to great food, music and art, there is plenty to see and do in New Orleans. Louisiana is colorful, dynamic, energetic and full of life. Louisiana is incredibly rich in lakes both natural and man-made that provide endless opportunity for water sports, fishing, boating, bird watching, and any other kind of outdoor recreation. Whether it’s the jazz, blues, and nightlife of Bourbon Street, the grand mansions of the Garden District, or the quintessential New Orleans cuisine of the French Quarter, this vibrant city never disappoints. Louisiana is diverse and beautiful, home to great museums, historical attractions and unique wildlife. Top tourist attractions in in Lafayette, LA, include the Acadian Village, the Acadiana Center for the Arts and Avery Island. Visit the Mardi Gras Museum, the Charpentier Historic District and other unique attractions in Lake Charles, Louisiana. 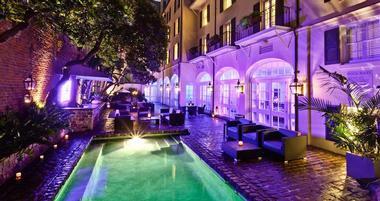 Top New Orleans honeymoon hotels and inns offer relaxing outdoor pools, perfect for relaxing on vacation. 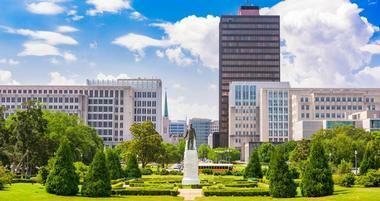 Plan a weekend trip to Baton Rouge, home to historic attractions, great museums and outstanding restaurants. 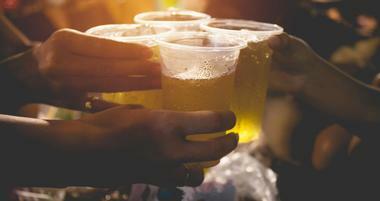 The history of beer brewing in Louisiana dates back to the region’s occupation as a French colony, with the opening of the La Brasserie New Orleans brewery in 1723. Located on the Gulf of Mexico, Louisiana is a southeastern American state with rich history as a melting pot of American, French, African and French-Canadian cultures. This exciting mix is reflected in Cajun and Creole cultures, its music, architecture, festivals and famous food. 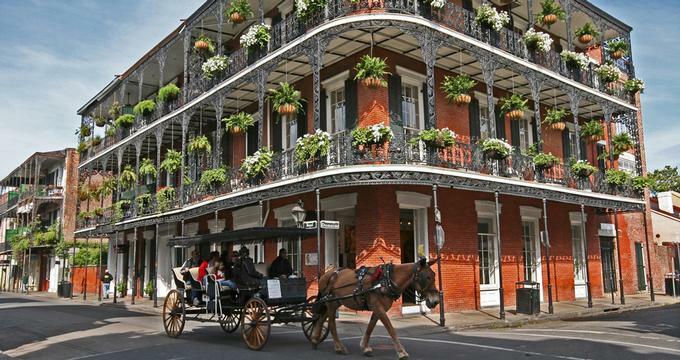 The largest Louisiana city is New Orleans, best known for its spectacular annual festival Mardi Gras, for the picturesque colonial-era French Quarter, for the jazz music, beautiful Renaissance-style St. Louis Cathedral, colorful neighborhoods and lovely parks. Louisiana is the place of mysterious bayous, huge bold cypress trees, fabulous fishing on the Gulf of Mexico, lovely small towns and modern big cities. In Louisiana, the past is very much part of today, and the history is interwoven with modern, to create a world like no other. The "Big Easy," the hometown of jazz, the party central, New Orleans is the place known for its fantastic food, constant party, live music of all kinds and colorful carnivals. This lovely city on the Mississippi River, not far from the Gulf of Mexico, is a unique blend of cultures – American, French and African, which colors everything – its architecture, music, cuisine and lifestyle. 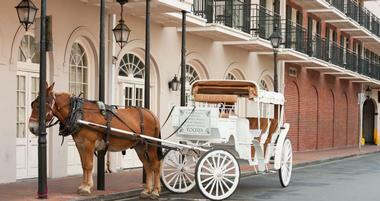 You will surely start your exploration at the French Quarter, the oldest New Orleans neighborhood. Visit historic Jackson Square Park to see artists paint and sell their art. Audubon Aquarium of the Americas is the place to visit with the kids, with the Gulf marine life, penguins and much more. Stroll through the colorful Bourbon Street for the good jazz and all kinds of other music. Audubon Zoo has not only animals but also a splash park for the kids. Some other must-see places are the majestic 18th century Cathedral, Audubon Butterfly Garden and Insectarium, New Orleans Museum of Art, the Louisiana Children's Museum and Mardi Gras World, to see how they build floats for the carnival. 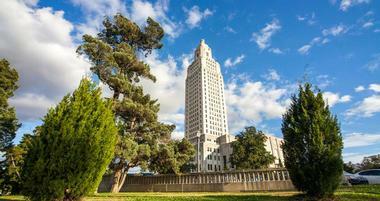 The capitol of Louisiana and one of its largest cities, Baton Rouge is at the heart of everything - half hour from both New Orleans and Lafayette, with state’s typical eclectic culture, rich 300 years long history and wonderful nature. The “Red Stick,” as the locals call their beloved city, Baton Rouge is famous for its fabulous food and distinct architecture. Start your exploration by visiting, and comparing, the Old and New State Capitols, each part of the city’s turbulent past. Visit the Rural Life Museum, an open air museum with 30 historic, unique buildings. See what the local artists are doing at the Louisiana Art & Science Museum, take the kids to the Bluebonnet Swamp Nature Center to see wildlife that lives in the very wet, mysterious environment, enjoy the costumed guides at the tour of 1791 Magnolia Mound Plantation and admire the majestic St. Joseph Cathedral. 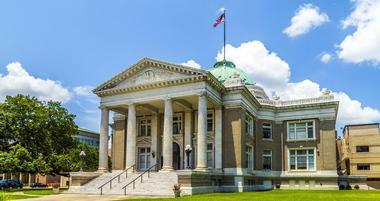 Declared as the Happiest City in America by the reputable Wall Street Journal’s MarketWatch.com, Lafayette is one of Louisiana’s most beautiful cities, with special blend of music, distinct food and that special blend of Cajun & Creole cultures. The history of Lafayette dates back to the early 18th century, when Acadians were expelled from Canada and soon later settled in Louisiana. For a true taste of the city’s history, visit Vermilionville, a 23-acres park with the historic village that showcases Creole, Acadian and Native American history from 1765 to 1890. Visit beautiful quasi-Romanesque brick cathedral of St John the Evangelist, enjoy the Cajun Food Tours on one of their colorful busses, learn about Acadian history at the very informative Acadian Cultural Center, see hundreds of birds at the Lake Martin Rookery, take the kids at the interactive Children’s Museum of Acadiana, and immerse yourself in one of the many festivals the city is famous for, from the world’s biggest Francophone outdoor festivals, the Festival Acadiens et Creoles and the fabulous Mardi Gras. Shreveport is known as the gaming and cultural center of Louisiana. Picturesque riverboat casinos bring to mind the glamour of the city’s past, and at the same time offer modern travelers excitement and hope of winning. If the tables aren't your style, have a look at the Texas Street Bridge, brilliantly lit with colorful neon lights. Get the feel of the city at the picturesque Red River District, take the kids to the Sci-Port Discover Center, a 92,000 square-foot interactive science and entertainment space, visit rich R.W. Norton Art Gallery, learn about the city history at the Louisiana State Exhibit Museum with wonderful dioramas and fascinating collection of artifacts. Stroll through the ancient pine, oak and hickory forest of the Walter B Jacobs Memorial Nature Park. Once a small settler’s outpost on the Ouachita River, Monroe became the town when at the beginning of the 19th century the steam-powered paddle-wheeler James Monroe arrived. Today a modern, thriving city ,Monroe is a fun place to visit. Learn about the local heroes such as General Claire Chennault and Flying Tigers at the Chennault Aviation & Military Museum. Visit beautiful Biedenharn Museum and Gardens, a home museum that belonged to Joseph Biedenharn, the first bottler of Coca-Cola. Stroll through the mysterious Black Bayou National Wildlife Refuge with hundreds of birds, crocks and turtles. Take the kids to the Louisiana Purchase Gardens & Zoo with crocks, monkeys, turtles and water buffaloes. They also have boat ride and a splash park. Another great place for the whole family is the interactive Northeast Louisiana Children's Museum, a perfect place to learn while playing. The Masur Museum of Art is the largest visual arts museum in N.
Houma is true Louisiana's Bayou Country. Only 55 miles from New Orleans, Houma consists of 2500 sq. miles of swamps and wetlands teaming with life. Houma has famous two-week long Cajun Mardi Gras celebration and numerous other boisterous festivals. With its distinct language, music and cuisine, Houma is a fantastic vacation destination. Start with one of many swamp tours or airboat rides and enjoy close view of the mysterious swamps, exotic wildlife, dense flora, all sorts of reptiles, a few alligator farms and a wildlife park. Being so close to the Gulf of Mexico, Houma offers excellent, diverse fishing. For the glimpse of the glamorous lifestyle of old plantation owners, visit Southdown Plantation House, a 19th-century former sugar manor house, today the Terrebonne Museum of history, culture and arts. Bring the kids to the Mandalay National Wildlife Refuge and Terrebonne Folklife Culture Center where you will learn about Cajun culture, take a course on Cajun cooking, dancing and decoy carving. Today a suburb of Shreveport, Louisiana, connected to its twin by a bridge over Red River , in 1830s Bossier City was just a plantation called Elysian Grove. Because of its strategic location on the river, it grew into a cotton-exporting busy river landing, then became a railroad town, an airbase location and oil-boom town. Today, Bossier City is now known as a casino gambling tourism destination. Besides giant resort casinos on land such as Margaritaville, there are four riverboat casinos on the Red River’s east bank. The Red River is also the setting for the Louisiana Boardwalk, several miles long Bossier City's entertainment and shopping destination, connected to the casino district also located on the riverfront. When you get tired of the sound of slot machines, visit Red River National Wildlife Refuge, with several miles of beautiful hiking trails that wind through the woods, wilderness and along the levee and the river. Mardi Gras Museum displays various floats and clothing from previous Mardi Gras carnivals. 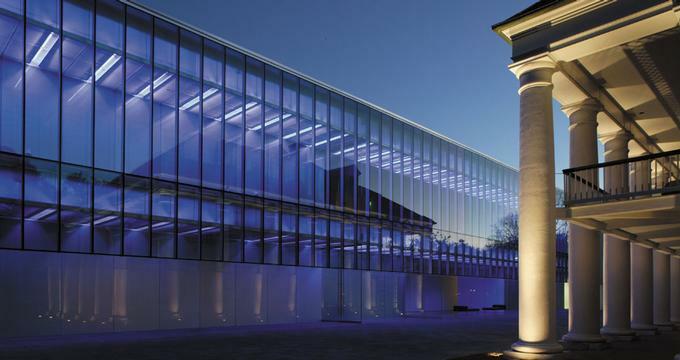 Gallery Fine Art Center is a world-class art museum showcasing contemporary art by local and national artists. Take the kids to the Party Central, with all sorts of rides, go-carts and climbing walls. Located on the south bank of the Red River at the geographical heart of Louisiana, Alexandria is at the northern end of the extension of the Cajun culture. The city recognizes Mardi Gras as its official holiday, but its nature is very different from other Cajun cities – it is a family affair. Alexandria has a famous Zoological Park with 500 animals such as lions, monkeys, tigers, crocodiles, bears, otters and many others. For a sense of history, visit Kent Plantation House. Children museum T.R.E.E. House will keep them busy and entertained for hours. Alexandria Museum of Art is a lovely art museum with a small permanent collection of modern art of local artists and frequent new art exhibits. Learn about the history of the area at the Louisiana History Museum. Lake Charles is one of Louisiana’s major industrial centers, a popular gambling destination and a beautiful city surrounded by water. It is also known as the Festival Capital of Louisiana, with more than 75 annual festivals, the most famous of course being Mardi Gras. Another important city celebration is Contraband Days, the festival that celebrates city’s heritage and the pirate who once used to sail the lake. If you want to learn more about Lake Charles and its history, visit the Central School Arts & Humanities Center, a regular stop on the African American Heritage Trail. Stroll through the Charpentier Historic District to see the beautiful antebellum mansions. Take the kids to the fun interactive Children's Museum to spend some energy. Stop by the Lake Charles Visitor Center to learn about the Creole Nature Trail and the Southwest Louisiana Boudin Trail. Have a picnic at the lush Sam Houston Jones State Park and take a tour of the historic USS Orleck. Located in the heart of the French Quarter of New Orleans, historic Jackson Square is one of the most popular New Orleans attractions. It was built in the 18th century and originally named "Place d'Armes. " This famous city landmark on the banks of Mississippi River is surrounded by some of the most significant historic buildings, such as the St. Louis Cathedral, the Presbytere, Louisiana State Museums and the famous Pontalba Apartments, the American oldest apartments. The Pontalba Apartments have retail shops, galleries, museums and restaurants on its ground level, while the second and third floors have a number of luxurious, highly sought-after apartments. The square is the place where families have picnics and tourists rest on the benches surrounding the green, well-manicured spaces. Louisiana’s artists have been using the square for the last half a century as their open air gallery. This is where they show their works on the iron fence surrounding the park, paint, draw, take tourists' portraits and caricatures and socialize with each other and people coming to admire their work. Once known as the Lafayette City, the Garden District is just a short ride by a streetcar from the French Quarter, but you will feel like you are in a different city. It was built by newly arrived Yankees, who felt excluded from the original Creole society, so they built their own city. Today, Garden City is one of the most beautiful and best preserved historic districts in the country. As you walk along St. Charles street lined by old willow trees, you will be surrounded by magnificent ornate Victorian homes, each with a breathtaking garden that gave the district its name. The Garden District is also a place to have an excellent brunch on the Magazine Street, come for a drink in the evening, or shop in one of many high class boutiques. Don’t miss visiting the famous Lafayette Cemetery. You can walk on your own or take one of the well-organized and informative guided tours. For the last hundred years, Audubon Park was a favorite place for the New Orleans residents to go for a picnics, a game of tennis or enjoying a lovely day outdoors. Located in the city’s historic uptown district, Audubon Park is a beautiful green oasis with paths lined with ancient live oaks, a scenic 1.8 mile jogging or biking path, a serene lagoon, several picnic shelters and three kids’ playgrounds. The park also has tennis courts which offer lessons, a soccer field, riding stables, soccer fields, Audubon Clubhouse Café and much more. The park is also the location of New Orleans' most extensive rookery. The Riverview park connects to Audubon Park, linking it to the Mississippi River. Located between the Lafayette and Breaux Bridge, Louisiana, Cypress Island Preserve stretches over 9,500 acres of cypress-tupelo swamp as well as the bottomland hardwood forest the preserve is trying to protect. The Preserve is a habitat that provides home to hundreds of species of birds. From the end of January, thousands of magnificent Great Egrets start making their nests in the Preserve rookery, followed by Cattle Egrets, Little Blue Herons, Snowy Egrets and colorful Roseate Spoonbills. You can see the birds high up in the tree tops. There is a two and half-mile long trail on the levee open between the beginning of the fall and the spring. This remarkable area is accessible to the visitors, affording wonderful opportunities to see the wildlife in its natural habitat, the Cypress Island Preserve is popular with the visitors from all corners of the world. The Visitor Center has a nice picnic pavilion and the Visitors’ Center, managed by the Nature Conservancy. Jean Lafitte National Historical Park and Preserve consists of six distinct sites scattered across southern Louisiana, each protecting important examples of the cultural and natural resources of Louisiana's Mississippi River Delta. The park’s goal is to show how environment and history affected the development of Louisiana’s distinct regional culture. Three sites - Acadian Cultural Center in Lafayette, Prairie Acadian Cultural Center in Eunice and Wetlands Acadian Cultural Center in Thibodaux focus on interpreting the Cajun culture of the southern Louisiana. The Barataria Preserve in Marrero, with scenic trails through swamps, marsh and bottomland hardwood forests, showcases the regional cultural and natural history. Chalmette Battlefield and National Cemetery is the historic site of the Battle of New Orleans in 1815. French Quarter Visitor Center in the Louisiana’s French Quarter interprets the history of New Orleans and the cultures of the Mississippi River Delta region. Located on Rampart Street in the New Orleans’ Treme district, just around the corner from the French Quarter, Louis Armstrong Park is a 32-acre park is dedicated to the city’s rich jazz tradition and to the memory of Louis Armstrong , one of the New Orleans most celebrated sons. One part of the park is Congo Square, where black slaves used to gathered in the 1800s on Sundays, to sing, celebrate, beat drums and sell home-made goods. The park has iconic arched entrance, a number of sculptures, ponds and lawns for picnics and playing. The park hosts every year Martin Luther King Day festivities, all sorts of festivals, weddings and concerts. The biggest park in Metairie, Louisiana, Lafreniere Park is a lush, open green space entirely funded by interested local residents. It took them more than three decades, but the park is now the favorite spot for families to spend a sunny afternoon, just lay in the sun on soft green grass, have a picnic, cool off at the fountain, stroll across hills and valleys, enjoy the colorful blooms in the landscaped garden, go fishing or boating in a man-made marsh, play golf, take kids to the carousel or to one of many playgrounds. There is always some game going on – soccer or softball. Or you can go birdwatching, the marsh in the park is home to geese, Great Egret, Black Swan, Black-bellied Whistling Duck and many others. Prien Lake Park is a 29-acre park overlooking Indian Bay on the shore of Prien Lake near Lake Charles. In the 19th century, schooners used to sail through this waterway. Today, it is a lovely park with shaded, forested areas, manicured flowerbeds, wide grassy areas for picnics, a cool stream and a fountain. Wherever you go, there is beautiful view of the Prien Lake. The sunset over the lake is a memorable sight. There are canoe and boat launches, several pavilions you can rent for your family or company celebration, protected picnic areas, kids’ playground, "spraygound" and a nice hiking trail. Not far from the buzz of the New Orleans’ French Quarter is Woldenberg Rivefront Park, a 16 acres of lush green space on the banks of the Mississippi River. Start your exploration of the Park by visiting Entergy Giant Screen Theater and Audubon Aquarium of the Americas. When you get out, take a hike on the riverside jogging path, lined up with artwork and sculptures. You might bump into a strolling band or one of many moving festivals. One of the park’s most popular attractions is the 90-foot long water feature in front of the Audubon Aquarium of the Americas, perfect for cooling on a hot day. The feature has fascinating light shows at night, illuminating one of the events set on the plaza for the evening. A scenic drive from New Orleans across the 24-mile long Lake Pontchartrain Causeway Bridge will take you to the Fontainebleau State park. 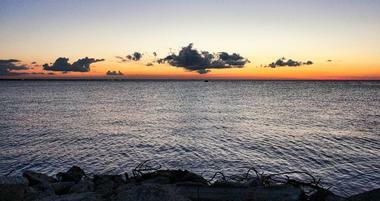 The lovely 2,800-acre park is located on the banks of Lake Pontchartrain. 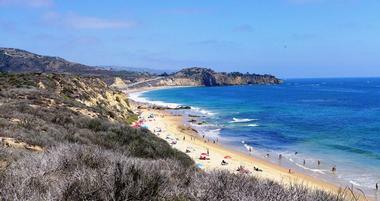 On a clear day, the lake is full of colorful sailboats and the fine sandy beach gets quickly full of eager sunbathers. There is an old railroad track that goes through the park called now the Tammany Trace, a part of the Rails to Trails program, great fun for hiking, cycling and in-line skating. A number of rental cabins are lining the water edge and the fishing pier is stretching out into the water. The park is home to more than 400 species of birds. Black Bayou Lake National Wildlife Refuge was established in 1997, in Ouachita Parish, near Monroe, Louisiana. The lake is man-made and was created by damming a bayou, what gave it its name. The Refuge is one of five refuges in the North Louisiana Refuge Complex and has been established to research and protect lake, wetlands and swamp ecosystems. The lake is mostly populated by cypress and tupelo, while in the surrounding swamps it changes into bottomland hardwoods and mixed upland pine and hardwoods. There are scenic raised walkways and paved paths for exploring this fascinating world. Students and visitors can watch the birds, snapping turtles and crocks from the pier or observation deck. Arboretum is a fascinating place to visit and see the attempts to bring back some trees that are becoming rare and endangered. Visitors’ center is located in a lovely old renovated planter’s home and offers valuable information and is managed by the Friends of Black Bayou, Inc. The Atchafalaya Basin is the biggest river swamp in the country. It contains about one million acres of the most important swamps, bayous, bottomland hardwoods and backwater lakes in the States. The basin starts near Simmesport, stretching for 140 miles to the Gulf of Mexico in the south. The basin has huge commercial importance, with about 22 million pounds of crawfish harvested commercially every year from its waters. This mysterious, fascinating and beautiful 800,000-acre swamp is how most people imagine storybook south Louisiana swamps to look like. The basin offers fantastic exploration opportunities, especially to bird-watchers, kayakers, photographers, and all other kinds of nature lovers who can roam through vast expanses of water, with cypresses dripping with Spanish moss, and blue herons suddenly taking flight. The easiest way to see the basin is from one of the many tour boats. Avery Island is privately owned island located in Iberia Parish, Louisiana, about three miles inland from Vermilion Bay, which opens to the Gulf of Mexico. The island is known as the birthplace of TABASCO® sauce. Avery family settled on the island in 1830. Edmund McIlhenny, who married into the family started producing the famous sauce in 1870. The island is in fact a salt dome, one of five island that are rising from the Louisiana marshes. The island is covered by lush tropical vegetation and ancient massive live oaks. Visitors can take a tour of the tabasco factory which is still located on the island, and tour the island and the surrounding marshes. Family Jungle Gardens and the Bird city are open to the public. Located close to the southernmost tip of Louisiana, where the mighty Mississippi flows into the Gulf of Mexico, Venice is known as the redfish capital of the world and Tunatown USA. This breathtakingly beautiful estuary is the place where life mostly happens outdoors, and a place to go for some of the best fishing adventures ever. There are many charter boats that will take you fishing and bring you back with some great trophies, a dinner and tall stories to tell. If fishing is not your thing, take one of the tour guides and go visit Breton National Wildlife Refuge on Breton Island in the Gulf of Mexico to see the endangered birds. Stretched over 23,000-acres within the New Orleans city limits, Bayou Sauvage National Wildlife Refuge is the biggest urban wildlife sanctuary in the States. Most of the refuge is located inside huge hurricane protection levees that are built to prevent storm surges and keep water levels safe in the low-lying New Orleans. The swamps of the refuge are home to a huge wading bird rookery, tens of thousands of waterfowl spend winters in the marshes. The brown pelican, southeast Louisiana permanent resident, is an endangered species. Several bald eagles, now threatened species, can be seen in the refuge every year. There are also shorebirds, wading birds, marsh rabbits, alligators, white pelicans and many other birds. About 340 bird species come to the refuge at different times and the peak waterfowl populations can reach 75,000. Freshwater lagoons, ponds and bayous are production areas for crappie, catfish, bluegill and largemouth bass. Kisatchie National Forest is Louisiana's only national forest. It has over 600,000 acres spread over seven Louisiana parishes and managed by five Ranger Districts. There is so much beauty in the wild world of hidden bayous, groves of bald cypress and old growth pine. It is the world of wild nature, where there is much to learn and explore. There are trails for hiking, horseback riding, camping, birdwatching, observing nature in its purest form. Stop by Wolf Rock Cave, small rock overhangs on Bundick's Creek and Historic Fullerton Lake Recreation Complex, once the Fullerton Sawmill site. Talk to the rangers, there is always something going on in the forest.